With more than 700 million active users (that’s more than double Twitter’s monthly active users), Instagram is one channel that is only becoming more important for our clients. Unfortunately – just posting a picture of a product or your lunch every now and then won’t make for an effective account that translates into real customers. High quality imagery, key message rich content and clever hashtags are crucial – and an effective strategy needs more data and planning than what the Instagram app alone can give you. We couldn’t manage Instagram for our clients without our favourite tools Iconosquare and Schedugram – and they didn’t even pay us for this celebrity endorsement. 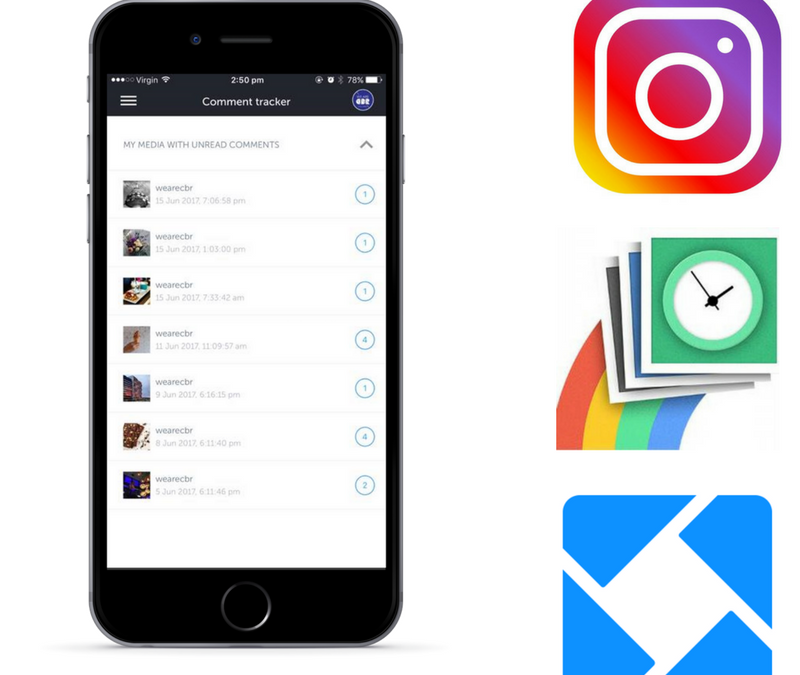 Schedugram – Schedule Your Instagram Posts. Instagram does not offer native scheduling, which is considered by most marketers to be quite baffling considering their technology is run through Facebook which does offer scheduling, drafting and even backdating. Luckily, it’s Schedugram to the rescue with their innovative scheduling tool – and a homegrown hero at that, with the tool born in Melbourne, Australia. While many other Instagram “scheduling tools” will simply notify you at the time of posting (we’re looking at you, Hootsuite), Schedugram will manage the whole scheduling for you – seamlessly. Schedugram ain’t messing around with the scheduling either – they’ve even got two types of scheduling. You can choose to add it to the calendar at a set time and date or add it to the queue, and they’ll release it over the next week for you to ensure the posts are well spaced out. How does this actually work? A process which involves many, many phones. Edit your images on the browser! Without Schedugram, you’re relegated to the mobile app. You can even add filters within both their mobile app and desktop version. Schedule your posts individually, or set up a queue by specifying which times you would like your posts to appear and simply add your content to it. Hashtags can be ugly. It’s best practice to add them to the comments instead of in the caption. Schedugram’s ‘first comment’ feature which will simultaneously add a comment to your post at the time of upload so that you can include your hashtags there rather than in your caption (and therefore also removing that pesky ‘see more’ button). Iconosquare – Next level Instagram analytics. While Instagram for Business included built in Instagram insights in May 2016, there’s just not enough data for us. Iconosquare was built from the ground up primarily to give you the insights you need to run a brilliant Instagram account. Iconosquare analytics are instrumental in helping grow your following, and determining which photos, hashtags and posting times are resulting in the highest levels engagement. The longer you use Iconosquare, the more data there is to draw from and the more useful its reporting will be. Track follower growth and which posts gain the most likes and comments. Compare account engagement and performance against competitors. View and apply suggestions from the tool to ensure content receives high levels engagement. Add hashtags and save the most frequently used ones for future posts. While Iconosquare and Schedugram are very useful, the key to a great Instagram account is always the content, both written and visual. These two tools will save you time and give you the insights you need to improve your Instagram strategy.